The Tasc Smartboard serie was probably the best PC chessboard evermade. 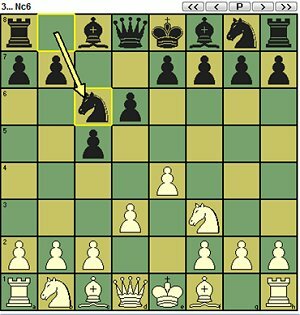 I especially like the chess piece recognition so it's very easy to set up a position. I also like the leds on each square, so there is no need to see what happens on the PC. Unfortunately, this hardware is obsolete and there is no way to use it on Windows XP. But if you still have one Smartboard, you will find here some information to take the best of it. The Tasc company does not exist anymore. Fortunately, Ismenio saved the TASC website and it is now available by www.chesscomputers.org. Here is link to the TASC website. You will find on this website some technical descriptions and software in demo mode. - The SB 20 with one led on each square - sold 400 euros. - The SB 30 with 81 leds (4 leds around each square) - sold 450 euros. They all have the same size: 42 x 42cm (16.5" x 16.5") with squares of 4.5 x 4.5cm (1.8" x 1.8") for Staunton 4 pieces. Some pictures are available by www.schach-computer.info. In fact, there are two kind of boards board. The Smartboard II includes 2 leds on the right side to indicate which one has to move. The one without these leds is of course called Smartboard I. So my board is a SB 20 - Smartboard II. And you can see a SB30 set by Kurts Shachcomputer. 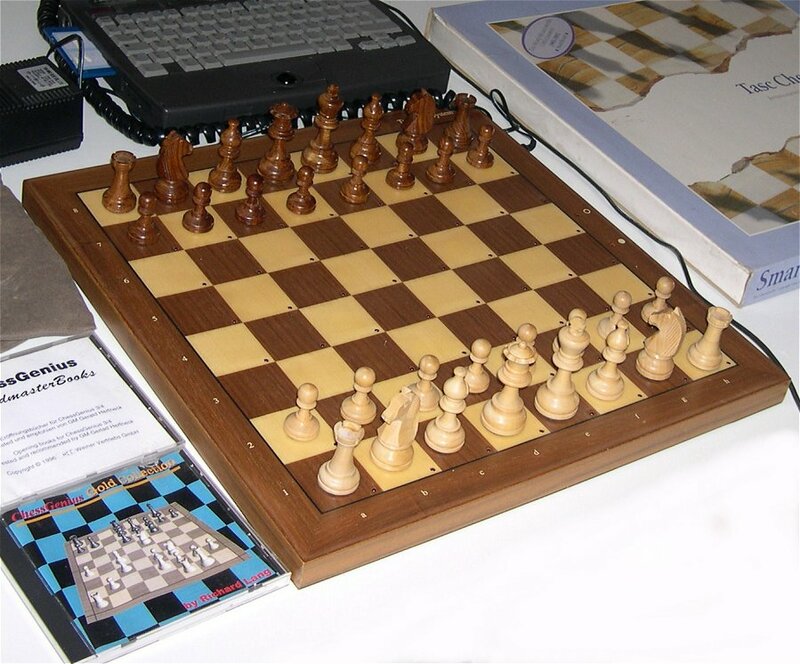 Following this post, there was also a bigger tournament chessboard without leds but not released to the general public. The driver disk is described in this documentation: it includes a very detailed diagnostic tool called smartbrd and a driver called tascdrv required for some old ms-dos chess programmes: Chess genius 3, Kallisto, Mchess 3, Rebel 6 and Fritz 3. Unfortunately, I do not have this disk. I really would like to have the diagnostic tool smartbrd to be able to differentiate the different kind of pieces (see below). I have a more common diagnostic tool called smartmon but without such level of detail. The Tasc SmartBoard features a piece recognition system based on a small electronic board under each piece. Then each piece is recognized by a different "impedence frequency". 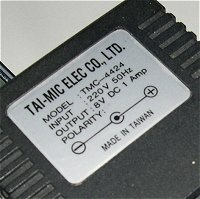 There are two kind of pieces, as described in the user guide. Following this documentation, the impedence should be stronger for Smartboard II. There was a long German discussion on how to repair some of the pieces Here is it. 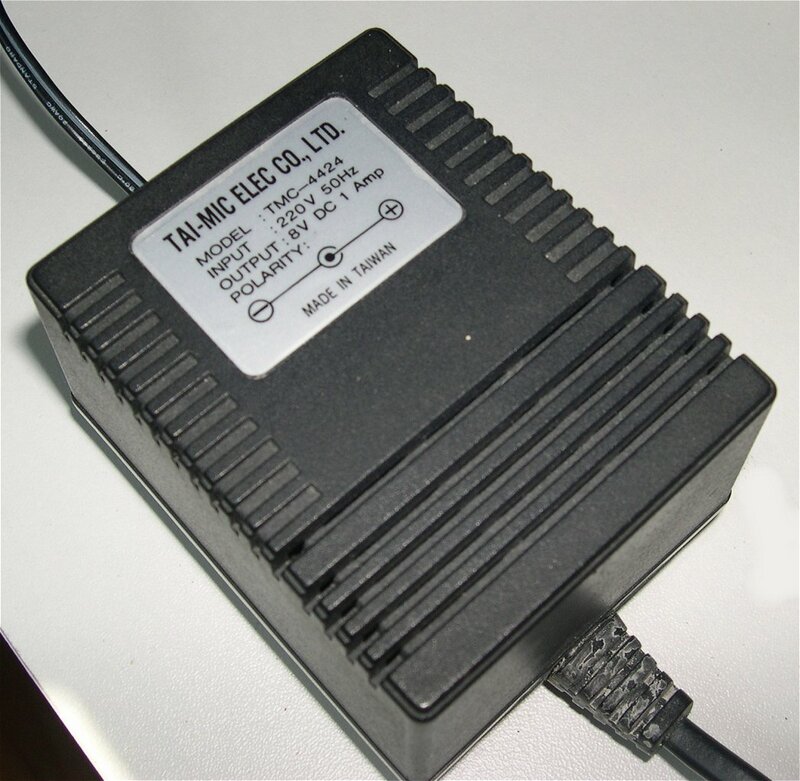 The power adapter is delivering 8V DC 1A, with the + inside. The game was designed for windows 95/98 and it used an interface to be plugged on the parallel port. At that time, there was no USB and most of the PC only had a parallel port, a serial port, a mouse/keyboard port and a VGA screen output. 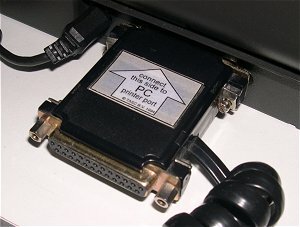 For laptops, Modems, Network and later USB interfaces were available through PC-MCIA cards. I don't know right now where to find somebody to produce such cable. But the electronic is described by www.schach-computer.info. Why it's not working on XP ? I tried many options to have the board working even partially on Windows XP - but without success. Here is the combination of issues I found. Most of the software are using a library called smartbrd.vxd. Some other like Chessica are using a library called smartbrd.dll. VXD files are interface pilots with very high security privilege. They disappeared from Windows 2000 and windows XP, due to the risk of virus. Under XP, when starting the diagnostic tool called smartmon, there is an error message called "unable to open smartbrd.vxd". It may be a security issue or an outdated "file open" functionality. Of course, I tried the windows 95 compatibility mode and I executed it as administrator - but without success in the end. The smartbrd.dll from Chessica is also not working. The parallel port is also more secured after Windows XP - so a new driver has to be developped. However, there is a workaround solution called porttalk/allowio. I also tried it without success. 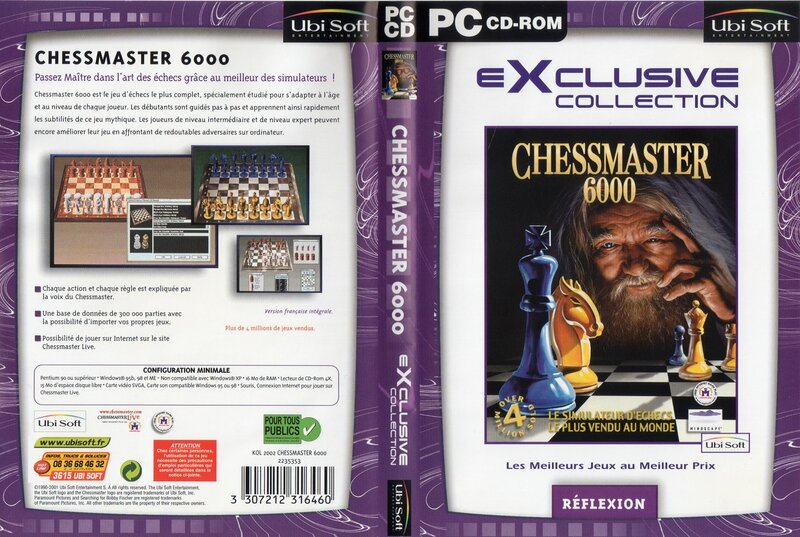 Last but not least, some software like Chessmaster 6000 are not compatible with Windows XP. Chessmaster is unable to display the first "logon window" on Windows XP. So forget Windows XP. I simply suggest you to buy an old laptop with windows 98SE on it, a CD-ROM drive and an USB port. I first found one Pentium 100 for 5 euros :-) but without CD-ROM :-(. At that time, I used an IOMEGA ZIP 100 parallel port to install the software. But Now I replaced it by a Compaq presario 1255 (K6-2 333 MHz) with windows 98SE. 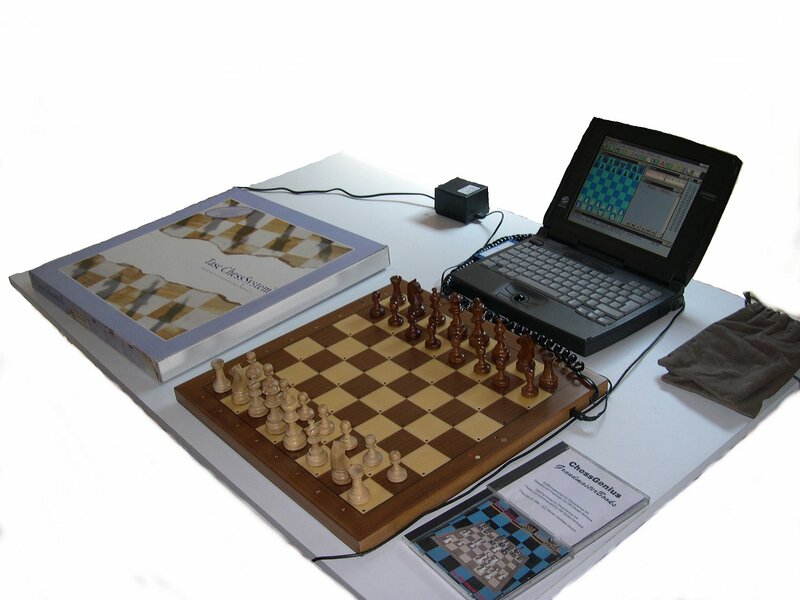 Several "oldies but goldies" chess engines are compatible with the smartboard. A list is available in the Schacomputer.info wiki - with minor errors. And some software are not easy to install. So here is my trial with my preferred games. It's a TASC so let's start with the King. The Chessmaster engine is derived from the one available on the Tasc R30 and R40. The smartboard is not supported with Chessmaster 5000. 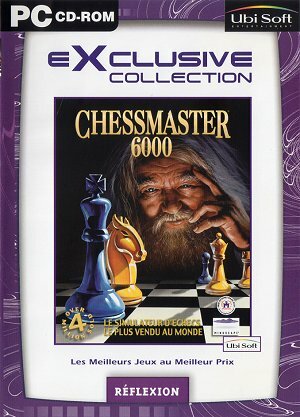 It's fully supported with Chessmaster 5500. This game is very popular with many "chess personalities" rated do different ELO levels and with its training lessons. The game is also available in different language - including French. There is something I don't like. You need to let the original CD in the PC for copy protected reasons. Chess genius is of course directly derived from the Mephisto world champion series. 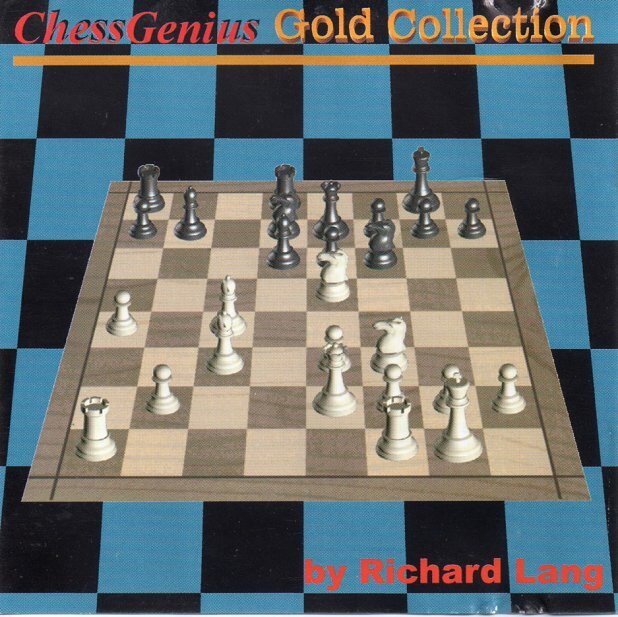 It's still available for sale by www.chessgenius.com. But I don't think the smartboard is anymore supported in the last v7. So I am using this old cd where you can find the relase 4 and 5. Both are supporting the smartboard but I only used the v4 because there is no need to have the cd in the PC. It's a very simple software but very well designed. To restart a game, just put all the pieces in the original position. To enter a position, just activate the function and move all the pieces where you want. I really used this software a lot. 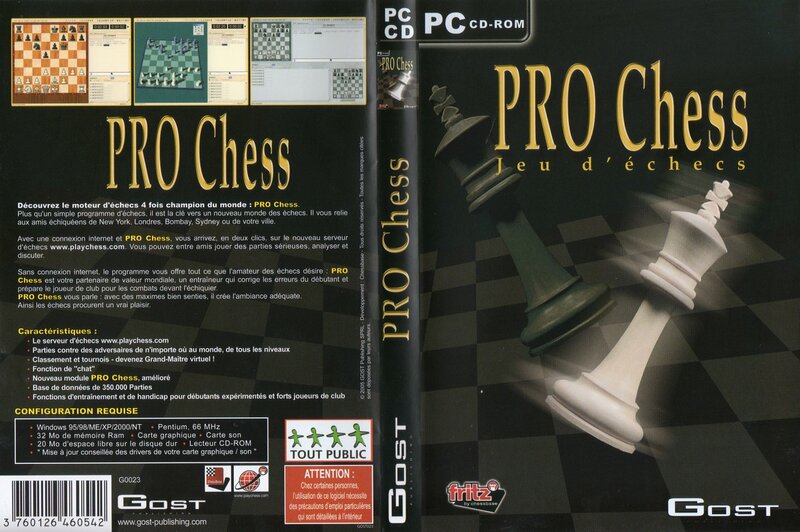 Chessica was the PC software distributed by Tasc. It was of course compatible with the smartboard. 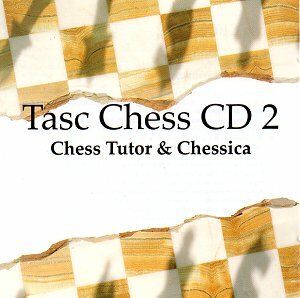 The game was sold in a CD called "Tasc Chess CD2", which also includes "chess tutor". It's a nice game - with a user interface looking very similar to the Chess Genius v4. Following schachcomputer.info, rebel 6, 7, 8, 9 and decade should be compatible with the smartboard. I donwnloaded Rebel Decade 3.0 and did not find the smartboard support. Following schachcomputer.info, Shredder 4, 5, 6, 7, 8, 9 in their "classic" edtion should be compatible with the smartboard. And only the old Fritz 3 is supporting it. The good point by Shredder is that you can still download the old releases. This includes Shredder classic 2, the one compatible with Windows 98. It supports well the smartboard. 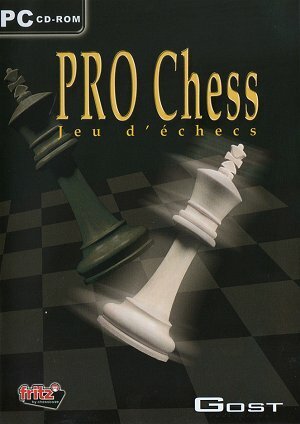 I also bought a ProChess CD. This is another name of shredder 6 SE. Unfortunatly, this is not supporting the smartboard. It only supports DGT boards. Winboard (and Arena) are compatible with the smartboard through a simple workaround. The smartboard is declared like an old winboard engine. The engine is available for download here. I played a lot the smartboard against Fruit 2.1 but most of the old winboard engines are also usable. winboard.exe /cp /fcp="smartbrd" /fd="../smartbrd" /scp "messtiny amsterd" /sd="../mephisto"
Of course my smarboard engine is called smartbrd.exe and is stored in smartbrd and in the mephisto folder, you have the roms, and messtiny.exe. you can type "messtiny tttt" on ms-dos to see the different module names.